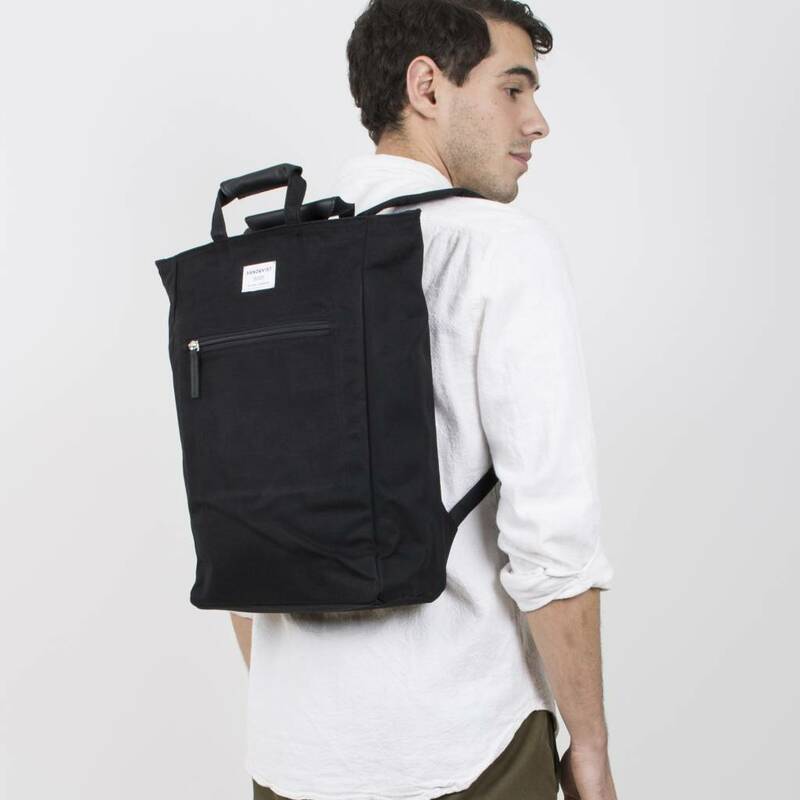 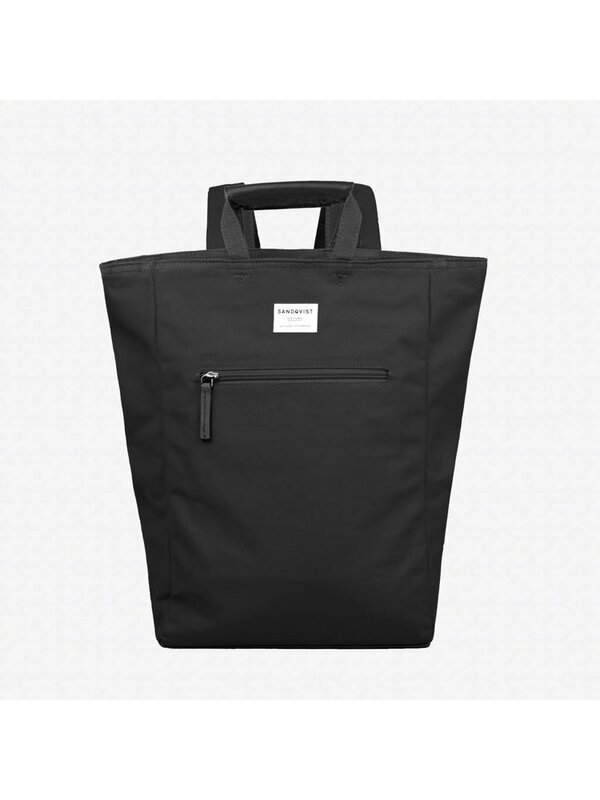 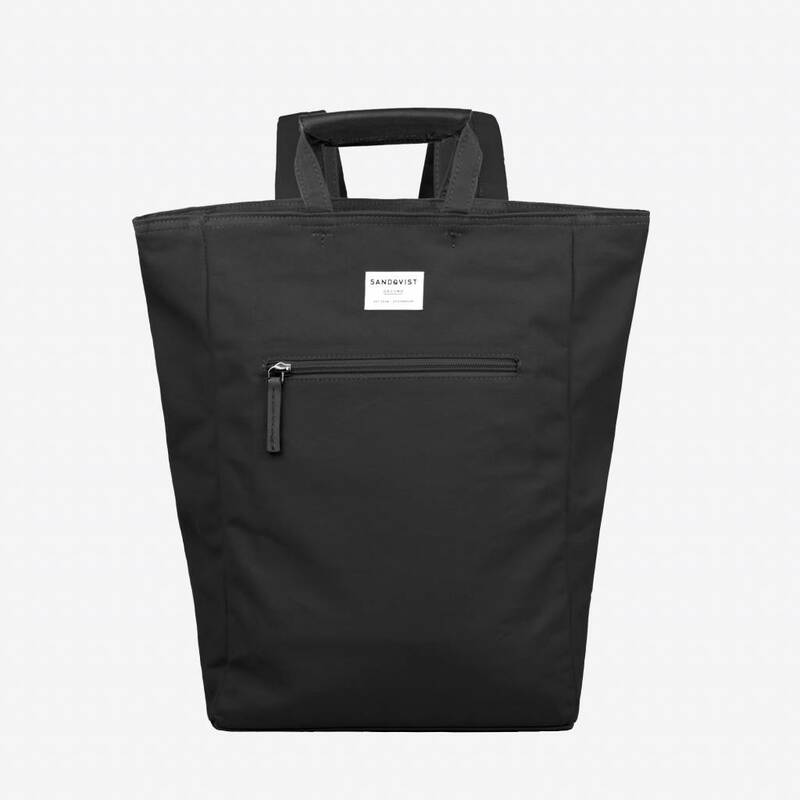 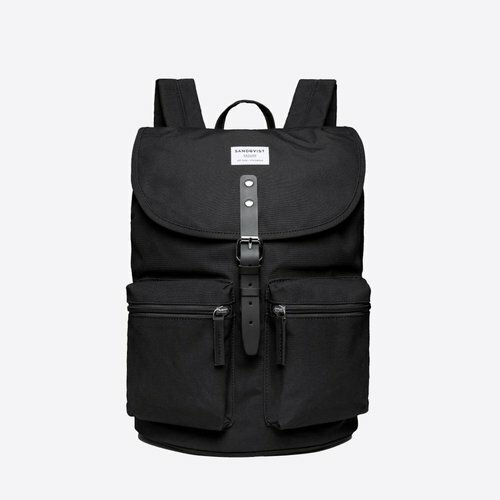 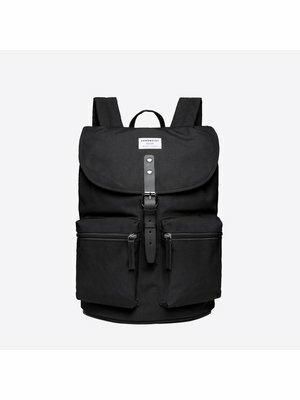 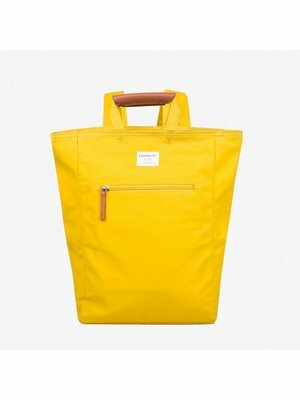 This beautiful Tony Black Backpack SQA725 from Sandqvist is not only a backpack, but also serves as a handy tote bag or hand bag. Wear it on your back with the comfortable adjustable shoulder straps, or in hand with the leather handle. 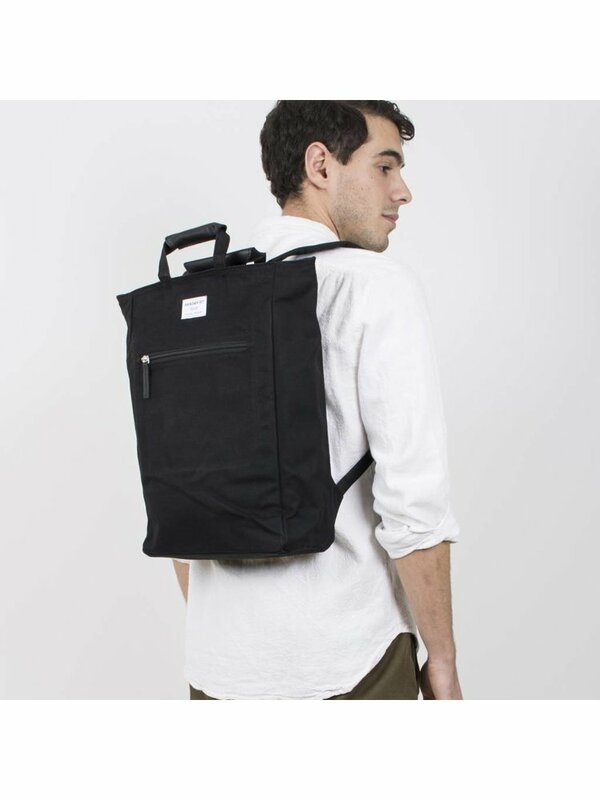 This Tony backpack has a main compartment with zipper and has 13 liters capacity, enough for all your daily things. 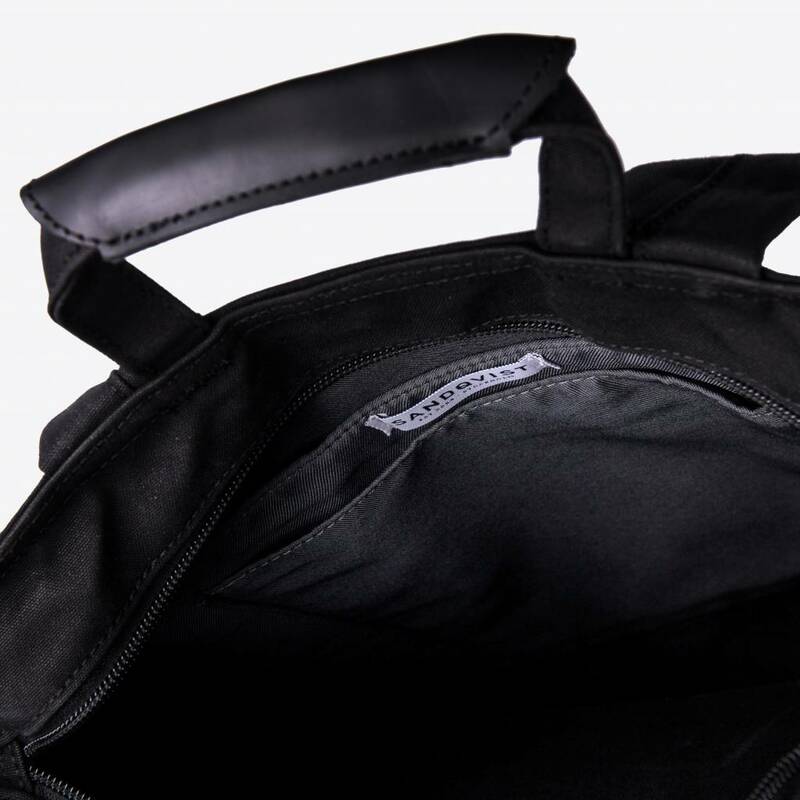 Inside the bag you will find a 15 inch laptop compartment and a zipper pocket to store your smaller items. On the outside there is an extra zipper pocket for the items that you would like to access easily. 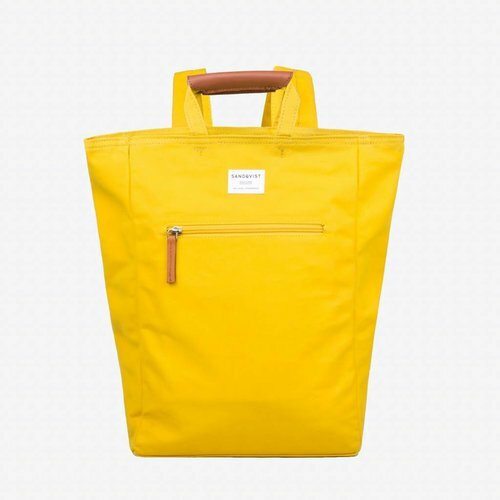 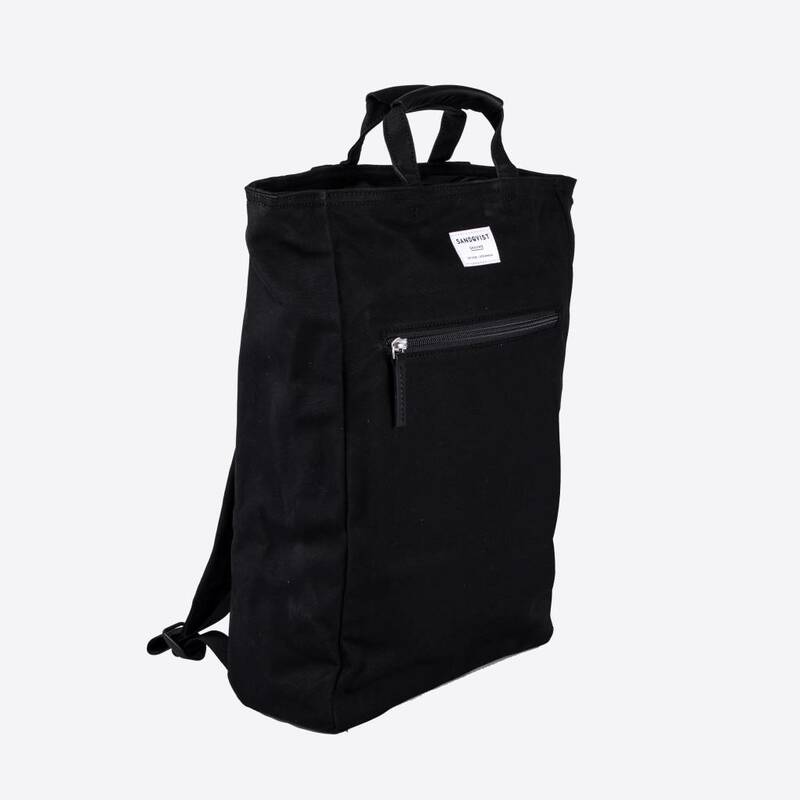 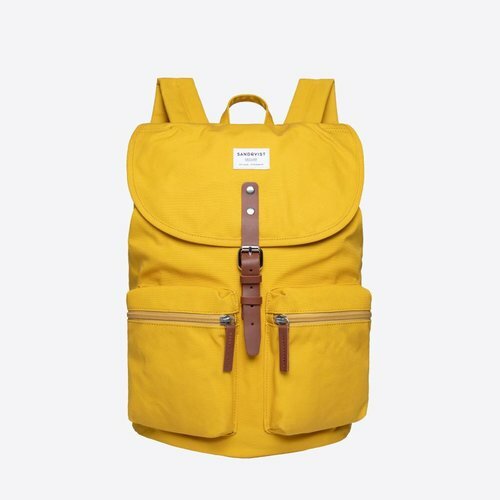 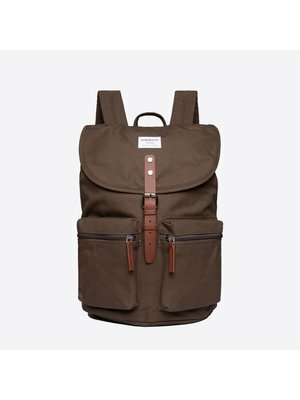 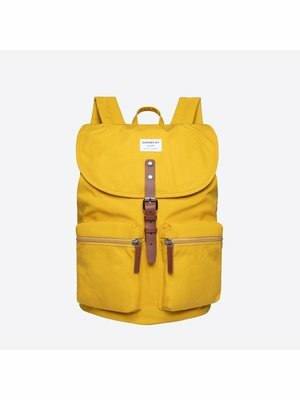 This Tony backpack is extremely durable and is made of organic cotton canvas. 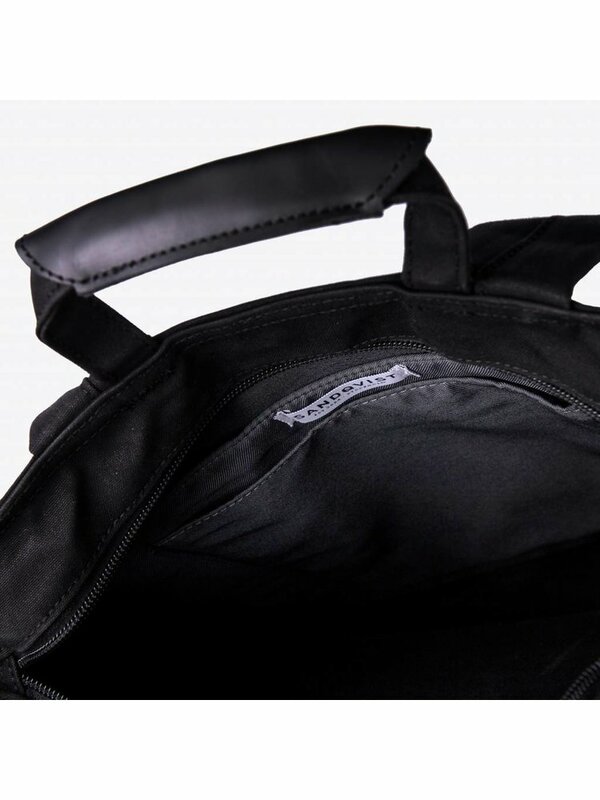 All details are made of high-quality and sustainable leather and the lining is made of durable recycled polyester. 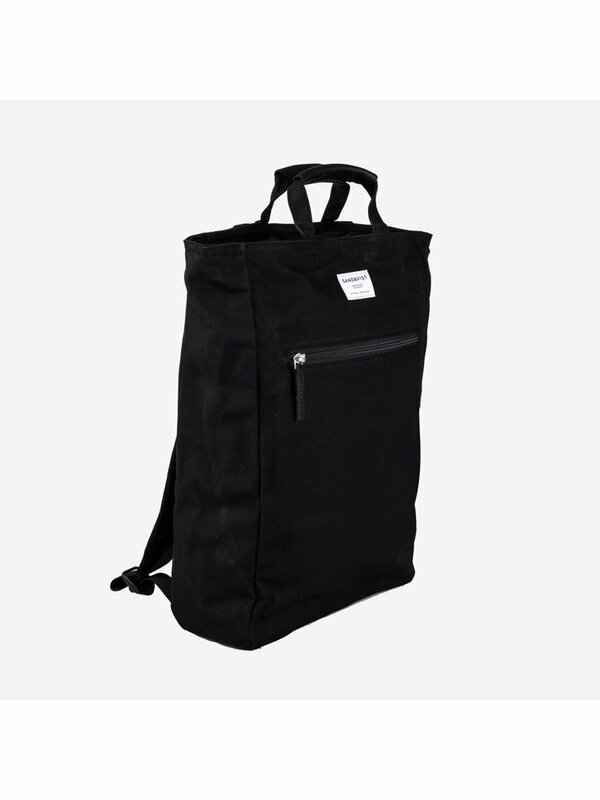 With the versatile uses of this bag, this is also an ideal school bag and work bag. 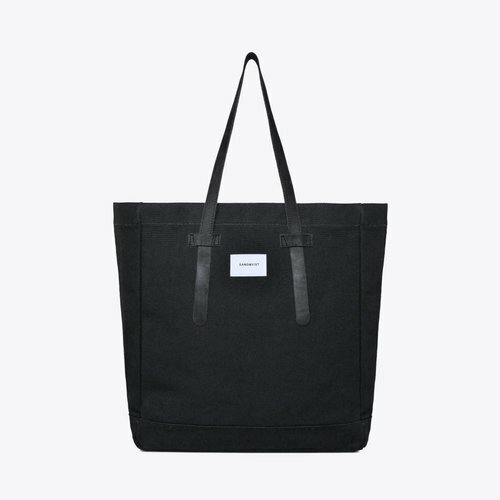 By choosing organic cotton, you opt for fair working conditions for cotton farmers and for protecting our climate. 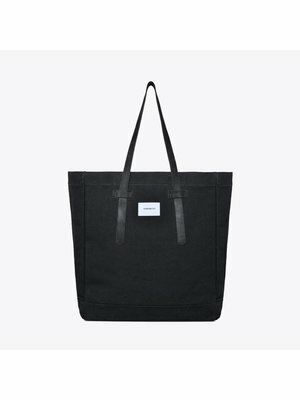 Organic cotton has been grown without chemical pesticides, without artificial fertilizer and without genetically modified crops. 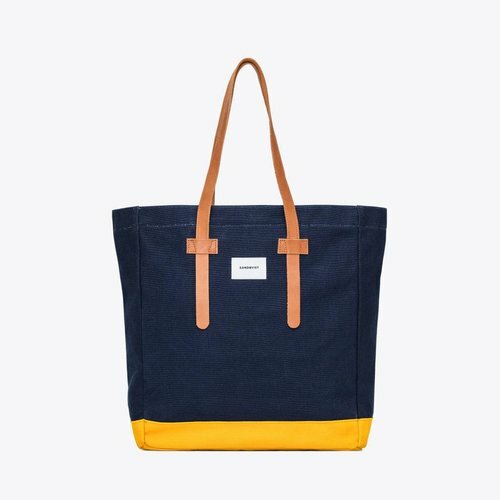 As a result, organic cotton has up to 46% less impact on the climate compared to normal cotton. 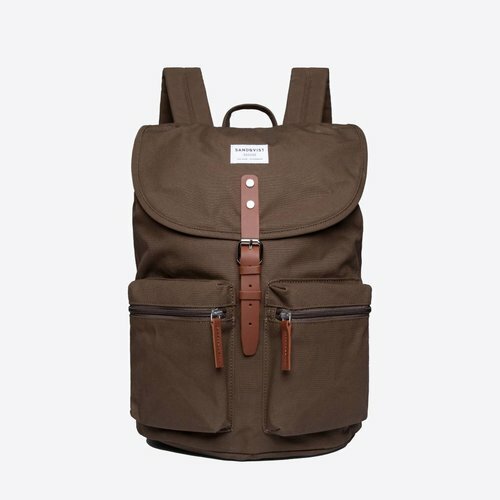 In addition to the impact on the environment, some 50 million cotton farmers live in poverty worldwide, earning less than $ 1.50 a day. 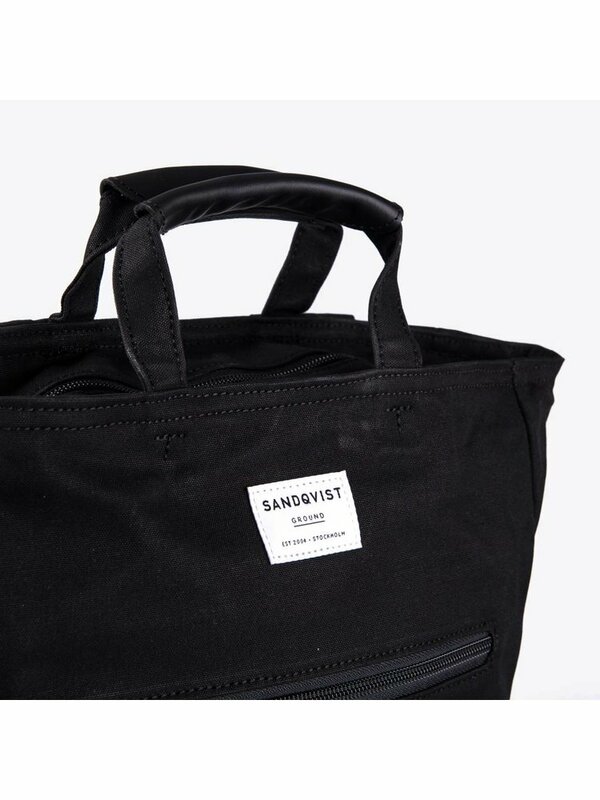 Sandqvist buys organic cotton directly from self-sufficient Indian farmers who grow their organic cotton on a small scale. 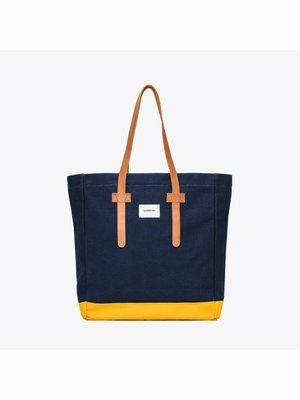 As a result, farmers receive fair compensation and work under better conditions. 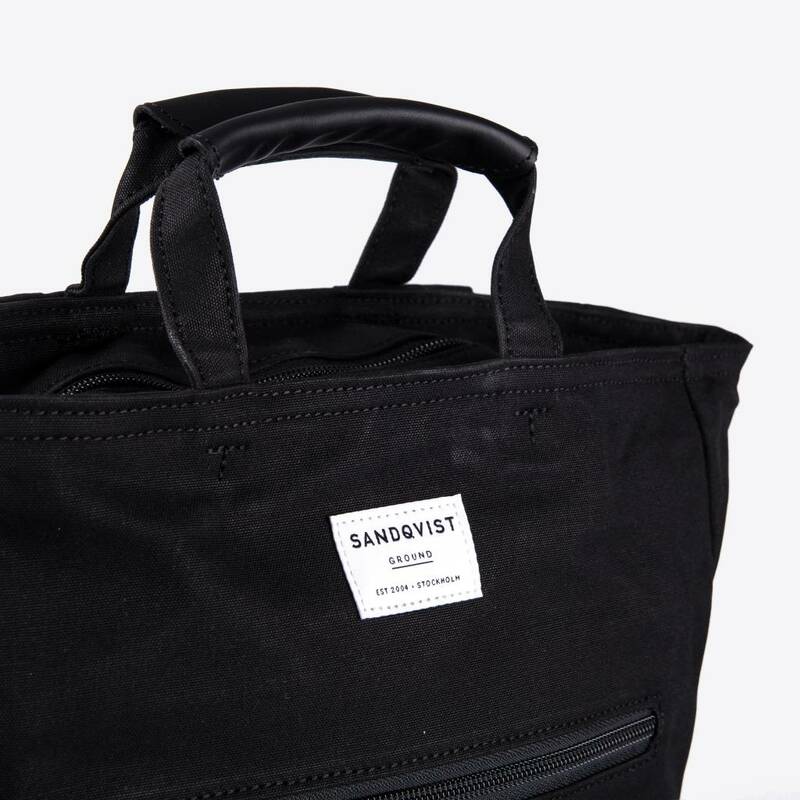 An important additional advantage is that when growing organic cotton no pesticides are released that are often harmful to entire local communities.